We had a banner day over here at mamacase prints! If you follow me on Instagram, I'm sure you've seen this great giveaway that Lauren from the little things we do... is helping me host. 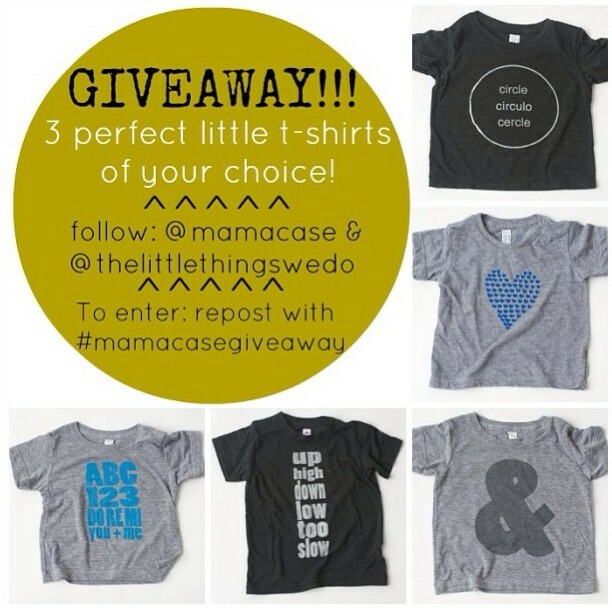 We will draw a random winner that will get their pick of 3 shirts from my Etsy shop. Exciting! 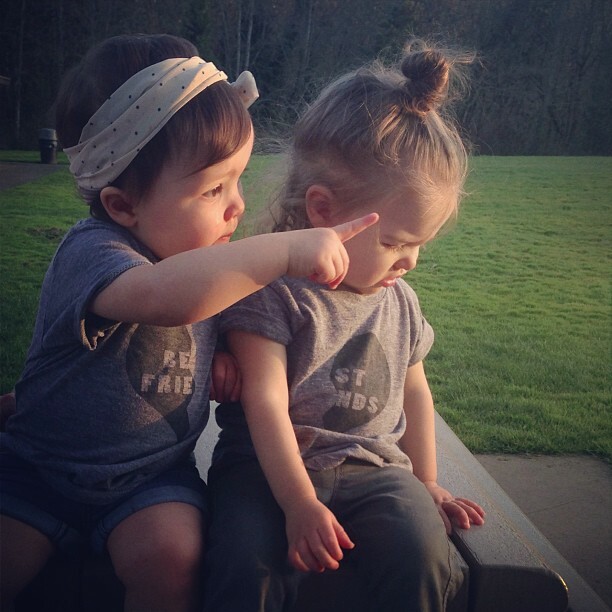 Lauren also featured her sweet daughter, Fern, wearing a Best Friends shirt with her own little bestie, Poppy, over on the Disney Baby blog. Can you even stand the cuteness? I just love the thought of little kiddos from Florida to Canada toddling around and getting messy in their mamacase prints! Fills my heart. And thank you to everyone that has reposted the contest picture!! I need these shirts for Sof and her little buddy Violet... they are inseparable! Love it so much!